On February 19th Florence celebrated the 500th anniversary of Niccolò Machiavelli’s imprisonment with an historical parade that followed his footsteps from via Guicciardini, where Machiavelli lived, to the Palazzo Vecchio, where his office of chancellor of the Republic was located and on to the Bargello, where he was imprisoned and tortured. In 1513 a town crier, Domenico di Nofri, read the arrest warrant in 50 different places of the city of Florence. 1512 had been marked by the return of the Medici after more than a decade of exile, the “gonfaloniere” (president) Soderini was forced to abandon the city and a new government had taken over Palazzo Vecchio. Machiavelli’s disgrace was a consequence: he had been the Secretary of the Florentine Republic and frequently its ambassador. In February 1513 he was accused of having taken part in a conspiracy against the Medici. When the guards came to fetch him he was away, probably already warned of the danger. The warrant was issued immediately and a reward was promised in the considerable amount of 12 florins for his arrest. 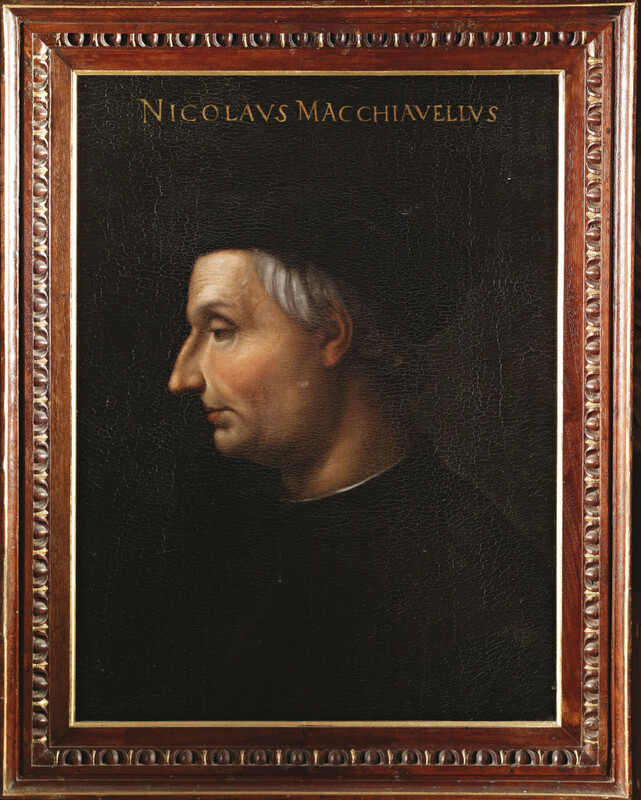 Machiavelli went voluntarily to the Otto di guardia probably in order to protect his friends and family ….and he was imprisoned at the Bargello, charged with conspiracy against the Medici (his name appeared on a list found in the hands of four young conspirators that were actually plotting against them, but even Giuliano de Medici did not consider it a serious threat). Machiavelli describes his detention in a “prison” sonnet addressed to Giuliano, asking for mercy and airing all his bitterness: Torture was widely used in those days, because confession was considered essential: Machiavelli never confessed nor admitted anything and he did not expect to be released, since the political situation did not encourage the Medici to be benevolent. We do not really know whether his sonnet was effective, because on March 9th 1513 Giovanni Medici became Pope Leo X and the occasion was celebrated with a general amnesty and resulting in the freeing of Niccolò Machiavelli on March 11th or 12th 1513. « Visiting Florence with children.